Hayden Reis is a Florida-based designer of sailcloth bags, totes, and beach-friendly accessories. nuSpace Media collaborated with LBH & Co., Hayden Reis’ public relations company, to create Hayden Reis email marketing campaigns. The campaigns are focused on seasonal sales events. nuSpace Media came up with a basic template design where the header and footer information could be reused while the remaining information contained within could be updated depending on the sales period and advertised products. Each design is coded into HTML and distributed to Hayden Reis followers via MailChimp. Empire South Realty Advisors is a real estate company focusing on rural land, farm, and commercial property deals. nuSpace Media worked with Empire South Realty Advisors to design a logo that would capture the essence of the new brand. Empire South Realty Advisors decided to go with a pre-developed responsive WordPress theme. nuSpace Media helped Empire South Realty Advisors customize the look and feel with the company’s new branding. nuSpace Media then implemented a real estate IDX feed and customized the usually residential-oriented plugin to pull properties specific to Empire South Realty Advisors’ rural land, farm, and commercial property needs. Crabapple Montessori School is a private Montessori curriculum school located in the Crabapple neighborhood of Alpharetta, Georgia. nuSpace Media collaborated with Lucid Partners a few years ago to develop the Crabapple Montessori School website using WordPress. The design was provided by Lucid Partners. 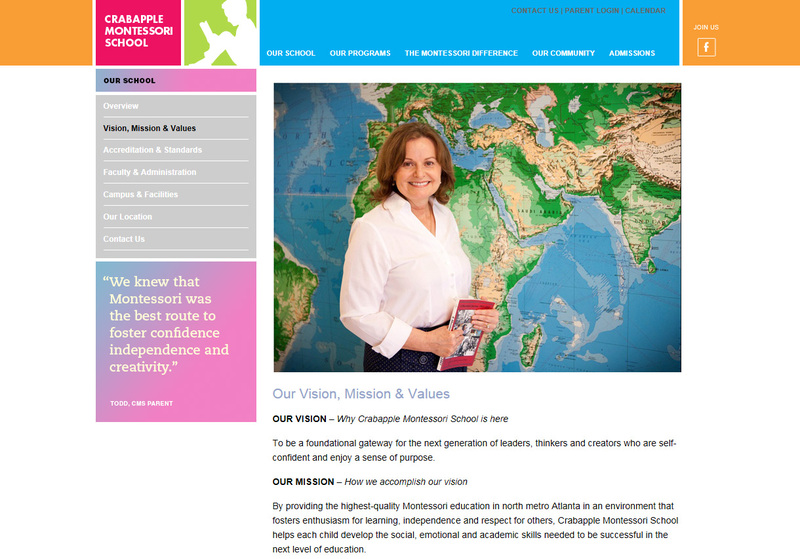 With ever changing technology Crabapple Montessori School felt the need to provide a responsive website to its visitors. Lucid Partners made minor design adjustments to the existing design and nuSpace Media redeveloped the WordPress website into a responsive-friendly format that would allow mobile, tablet, and computer users alike to browse the content. The Jekyll Island Club Hotel is a historic vacation destination on Georgia’s coast. The club hotel was constructed in 1888 as a winter retreat for the wealthy of the Gilded Age. Today anyone is welcome to stay and enjoy the warm climate of the Georgia sea side in this historic hotel while enjoying fine dining and beaches. 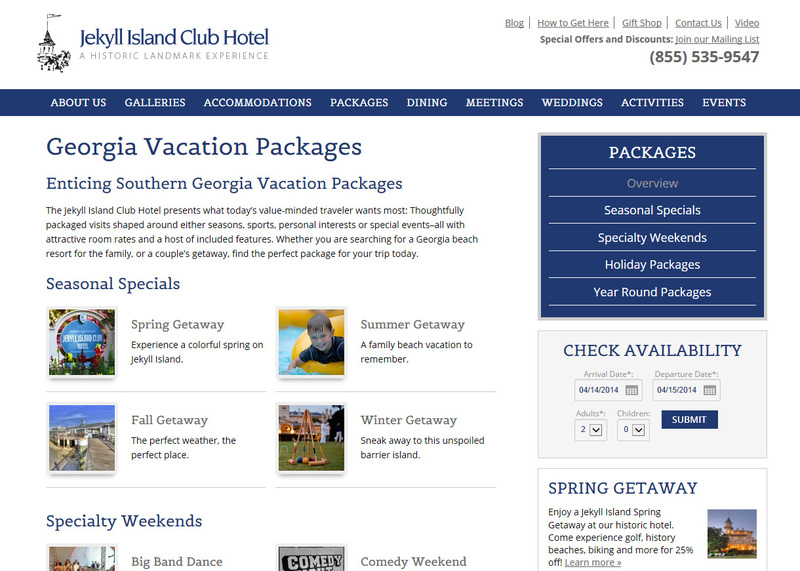 nuSpace Media first worked with the Jekyll Island Club Hotel in 2006 for a website redesign, then again in 2009 for a CSS conversion and design facelift, and in 2011 for a conversion to WordPress. We are happy they once again trusted our expertise during the latest project where the website was converted to use responsive design, making it friendly for PC, tablet, and mobile users, while also receiving another design overhaul. 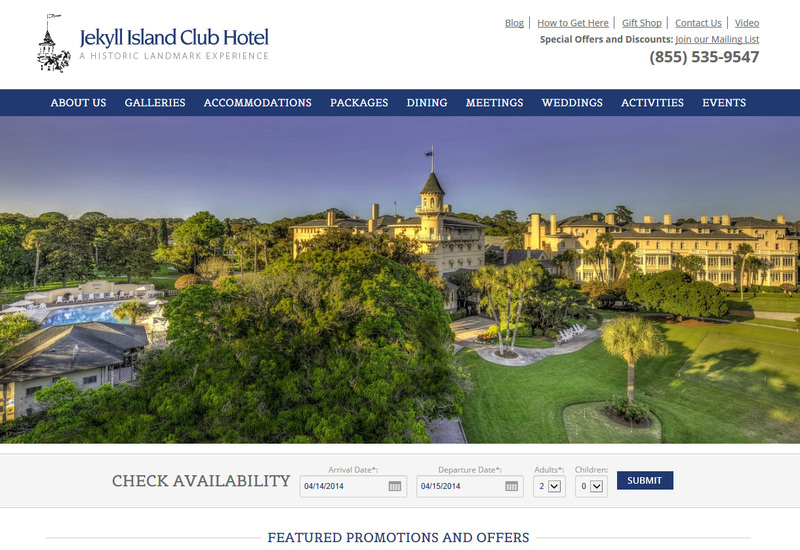 Additional features include a blog and a shopping cart to sell Jekyll Island Club Hotel branded merchandise. The TRU Insights Portal delivers tweens, teens and twenty-somethings marketing research to some of the nations top brands. nuSpace Media has been working with TRU for many years to help deliver their studies online to their clients via a secure portal. The custom built web application features an admin panel that allows TRU employees to manage client subscriptions, update content and generate usage reports. We wish we could show you more of this awesome project, but their data is for paid subscribers only!